Medica sells its products only through authorized distributors. 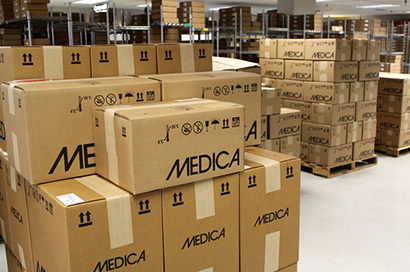 Medica’s distributors are factory trained to provide the highest quality technical service possible. Some of our distributors have earned exclusive rights to our products based on the service and support that they have provided to their customers. For information about distribution in your country please contact one of Medica’s sales managers at the addresses listed below.